The benefit to the planet being more than just the production of natural non-polluting dyes. Use Weld, or Reseda luteola, to create vibrant golds and yellows! 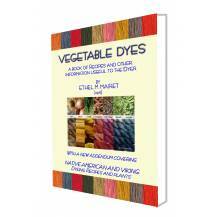 Vegetable dyes, or natural dyes, are dyes or colourants obtained and derived from plants, invertebrates, or minerals. However, the majority of natural dyes are vegetable dyes sourced from plantsroots, berries, bark, leaves, and wood etc. The plants from which these dyes are extracted, have been on mother earth since the beginning of time. Archaeologists have found evidence of textile dyeing dating back to the Neolithic period. In China, dyeing with plants, barks and insects has been traced back more than 5,000 years. [Goodwin, 1982] The Phoenicians, Native Americans, the Vikings and countless other peoples and tribes around the world have all used (naturally occurring) vegetable dyes to add colour to their lives. The essential process of dyeing has changed little over time and by the early 19th C. the industrial scale dyeing of fabrics was already in progress. However, the textile industry and the latest colours in fashion, were dependent on plants, growing seasons and the success, or failure, of crops. When synthetic dyes were developed in the mid 19th C., the move away from vegetable dyes was a fait accompli, as synthetic dyes could be produced in vast quantities with results guaranteed and fading almost eliminated. With spectacular advances in the chemicals industry over the next fifty to one hundred years, by the mid-20th C., the textile industries had all but phased out plant dyes and by the 1970s very few retained any knowledge of how to create vegetable dyes. But what of the cottage industry or DIY Dyer who simply cant keep pace with industry? 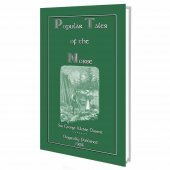 In 1916 Ethel Mairet produced this book, which had no less than six reprints between 1916 and 1935. 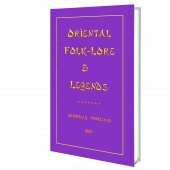 Forgotten, but after much research, it has been uncovered and Abela Publishing takes delight in reproducing it. 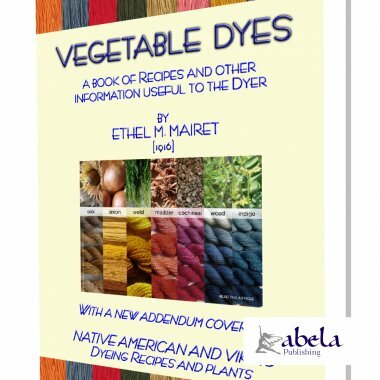 Abela has also included an Addendum covering the plants and methods used by Native Americans and the Vikings in colourising their fabrics and materials. 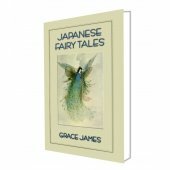 We do hope you will enjoy this free eBook. NOTE: IT IS FREE. Under no circumstances is this book to be sold. So, we encourage you to freely pass it on to anyone and everyone you know who has an interest in fabric dyeing. Not only will it keep the old ways alive, but it will mean doing your bit to ensure our environment is protected. Not only are the plants naturally occurring, their production is sustainable with the benefit to the planet being more than just the production of natural dyes. NOTE: In the early 21st century, the market for natural dyes in the fashion industry has experienced a resurgence. Western consumers are now more concerned about the health and environmental impact of synthetic dyes in manufacturing process and there is a growing demand for products that use natural dyes. Even the European Union, for example, has encouraged Indonesian batik cloth producers to switch to natural dyes to improve their export market in Europe. Any dye belongs to one of two classes. Substantive, giving colouring directly to the material: and adjective, which includes the greater number of dyes and requires the use of a mordant to bring out the colour. There are thus two processes concerned with the dyeing of most colours; the first is mordanting and the second is the colouring or actual dyeing. The mordanting prepares the stuff to receive the dye (mordere, to bite). The early French dyers thought that a mordant had the effect of opening the pores of the fibre, so that the dye could more easily enter; but according to Hummel, and later dyers, the action of the mordant is purely chemical; and he gives a definition of a mordant as "the body, whatever it may be, which is fixed on the fibre in combination with any given colouring matter." The mordant is first precipitated on to the fibre and combines with the colouring matter in the subsequent dye bath. But, whether the action is chemical or merely physical, the fact remains that all adjective dyes need this preparation of the fibre before they will fix themselves on it. The use of a mordant, though not a necessity, is sometimes an advantage when using substantive dyes. In early days the leaves and roots of certain plants were used. This is the case even now in India and other places where primitive dyeing methods are still carried on. Alum has been known for centuries in Europe. Iron and tin filings have also been used. Alum and copperas have been known in the Highlands long ages. it will fade and will not be as brilliant as it should be. The brilliancy and fastness of Eastern dyes are probably due to a great extent to the length of time taken over the various processes of dyeing. The longer time that can be given to each process, the more satisfactory will be the result. Different mordants give different colours with the same dye stuff. For example:Cochineal, if mordanted with alum, will give a crimson colour; with iron, purple; with tin, scarlet; and with chrome or copper, purple. Logwood, also, if mordanted with alum, gives a mauve colour; if mordanted with chrome, it gives a blue. Fustic, weld, and most of the yellow dyes, give a greeny yellow with alum, but an old gold colour with chrome; and fawns of various shades with other mordants. Silk and wool require very much the same preparation except that in the case of silk, high temperatures should be avoided. Wool is generally boiled in a weak solution of whatever mordant is used. With silk, as a rule, it is better to use a cold solution, or a solution at a temperature below boiling point. Cotton and linen are more difficult to dye than wool or silk. Their fibre is not so porous and will not hold the dye stuff without a more complicated preparation. The usual method of preparing linen or cotton is to boil it first with some astringent. The use of astringents in dyeing depends upon the tannic acid they contain. In combination with ordinary mordants, tannic acid aids the attraction of the colouring matter to the fibre and adds brilliancy to the colours. The astringents mostly used are tannic acid, gall nuts, sumach and myrobalams. Cotton has a natural attraction for tannic acid, so that when once steeped in its solution it is not easily removed by washing. INDIGO EXTRACT (4 to 6 lbs. wool).